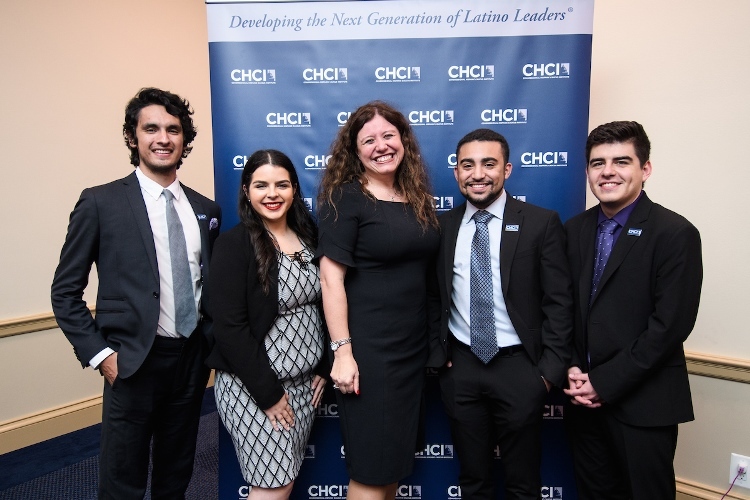 CHCI Vice President of Leadership Development Marie Chough opened up the program and introduced the night’s keynote speakers, Reps. Tony Cárdenas and Adriano Espaillat. Together lauded the class and their achievements, and expressed hope for the future with them at the helm. Interns were also congratulated by Tres Bailey, Senior Director of Federal Government Affairs at Wal-Mart, who commended them on their hard work and accomplishments. 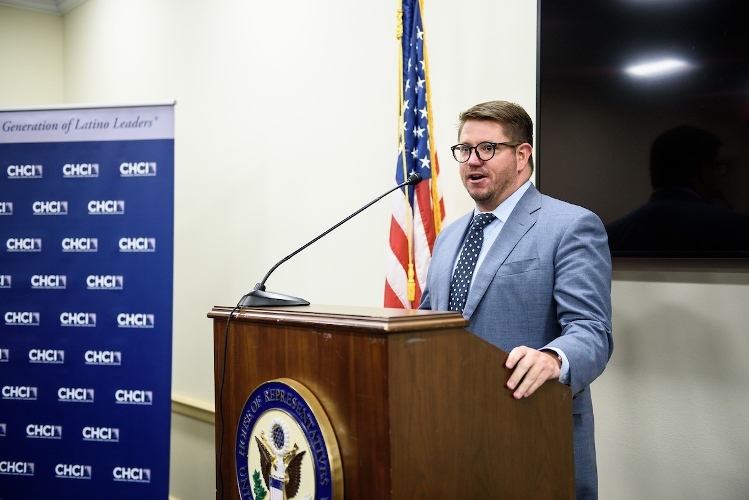 The ceremony concluded with keynote remarks from Congressional Intern Oscar Alvarez and CHCI alumna Marlin Martes (CHCI 2015-2016 BP STEM Public Policy Fellow). 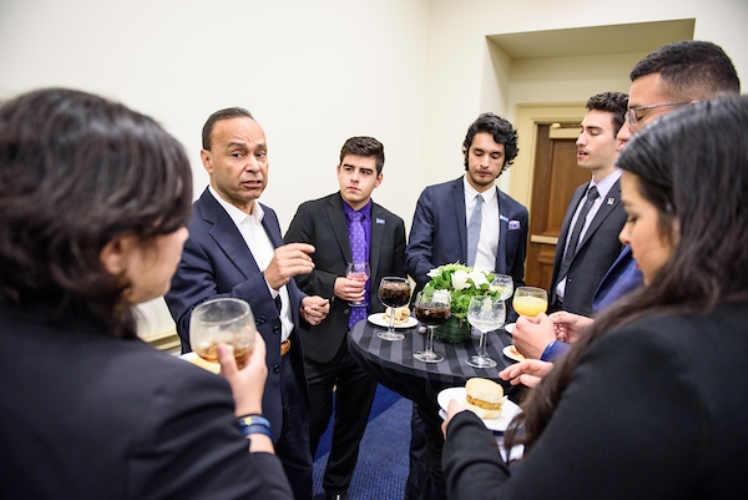 This program is made possible with the unwavering support of our Spring Congressional Internship Program sponsors, including Walmart – Founding Sponsor of the CHCI Semester Congressional Internship Program, UPS, Comcast, the National Association of Broadcasters, and Southwest Airlines, the Official Airline Partner of CHCI Leadership Programs. 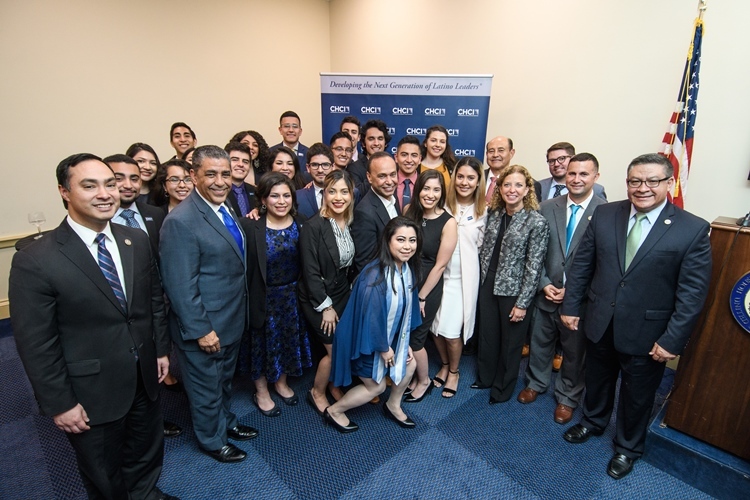 CHCI is honored to have such a talented group of aspiring Latino leaders come to DC through the Congressional Internship Program. 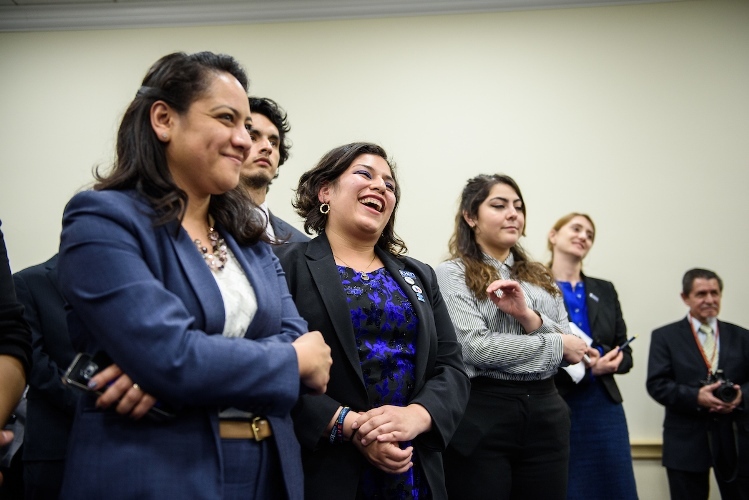 Every graduating class further carries the dreams and aspirations of the young people we serve, ensuring that we continue to educate, empower and connect our nation’s Latino youth.